Tuesday was Valentines Day and my husband made every effort to make sure our first February 14th as Mr & Mrs was lovely. A dozen red roses. A bottle of bubbles. I was banned from the kitchen while he prepared an amazing three course dinner, the highlight being a very impressive Flaming Pecorino – a hollowed out pecorino cheese “bowl” with a brandy & gin flame that melts some of the cheese to make a very tasty coating for the pasta that gets piled into it! It looked amazing & tasted yum! 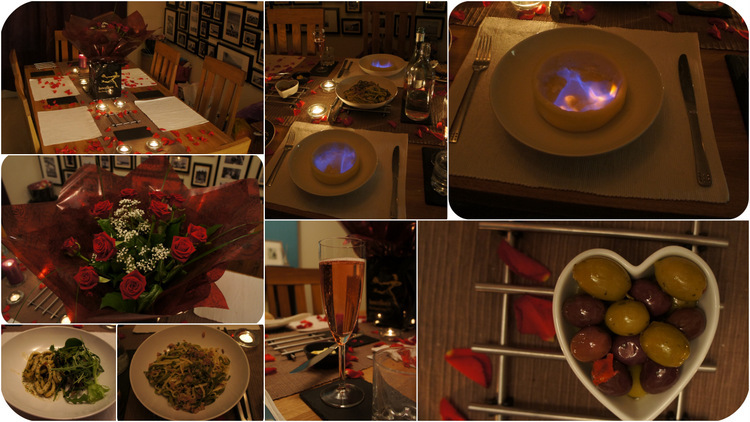 The time & effort he put into planning the perfect evening means so much – thank you Mike. For my gift to Mike I wanted to do something to remind him that even in the little minutes I am thinking of him & that I love him. Inspired by a friends Pinterest pin I found my way to Moorea Seal’s blog & a lovely post that had the perfect gift idea. On Tuesday I gave Mike his first heart & a jar to keep them in. Over the coming days, weeks, months even, I will put hearts out for him to find. Tucked under the pillow. His trouser pocket as he gets ready for work. In a kitchen cupboard. Where else...His desk? His bag? His car? Where ever & whenever he finds them I know that it will make him smile & he will be reminded that he has my heart forever.